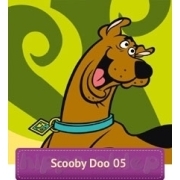 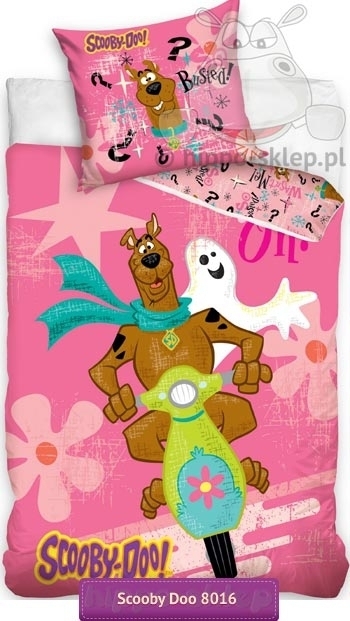 Bedding Scooby Doo scootering with a talking dog – the main character Scooby Doo movies – fleeing on a green scooter against ghosts. 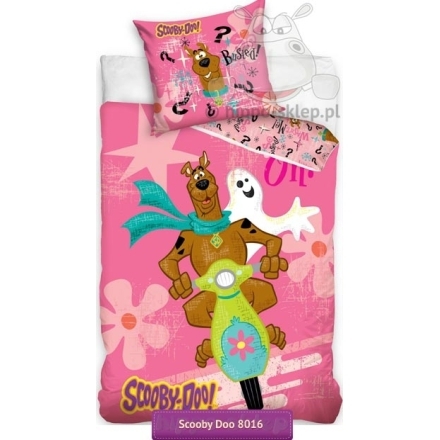 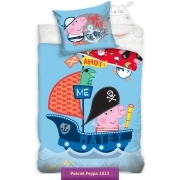 Kids bedding with Scooby Doo on a scooter for girls in the colors of light pink with large character Scooby on duvet and the image of the head Scooby Doo on the pillowcase. 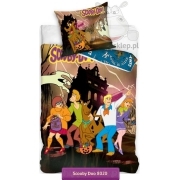 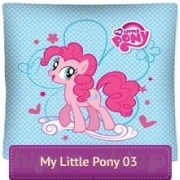 Bedding for girls with Scooby available in sizes 140x200cm 150x200 cm 160x200 lub 135x200 cm depending on the chosen size variant and one pillowcase size 70x80 cm. 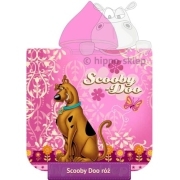 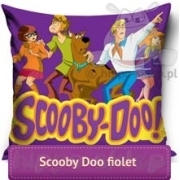 Scooby bedding set made under license of Hanna-Barbara, 100% cotton, certified according to Oeko-Tex 100 guarantees performance only safe for the skin materials.